We've yet to even see the Nexus 5 officially announced and yet the leaks of the Google flagship have been a virtual torrent. 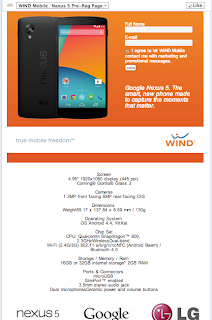 It looks like WIND Mobile jumped the gun and made a Nexus 5 pre-registration page live on their Facebook page. It had shortly been taken down, but not before several sources got a screenshot. 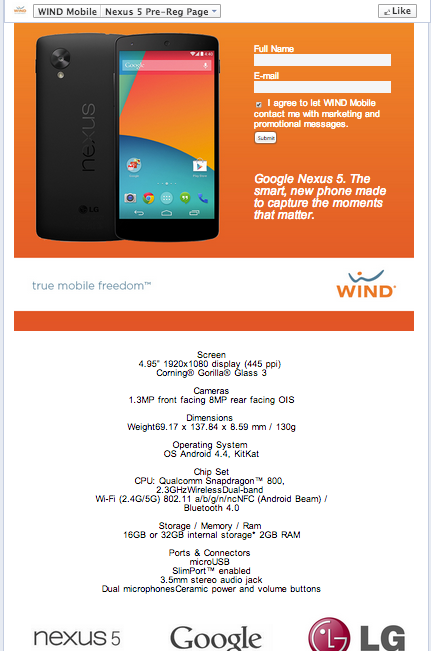 What's most interesting is we also got a great list of specs on the information page.